HETAS Flue and chimney lining service. Here at anystove.co.uk we offer a full installation service. With professional advice on what flue lining options are available for you. We offer a free survey. A Full installation service is available so we can supply and fit the slate Hearth right up to the chimney Cowl. Flue lining is carried out using the highest grade lining material. Traditional flue construction and rebuilding chimney stacks. Registra plates and closure plates fitted. 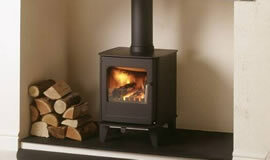 Maintenance to your existing wood burner or multifuel burner. 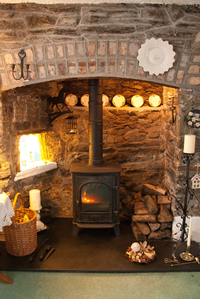 Turn your traditional inefficient open fire into a efficient controllable multifuel burner. The full service can be offered from anystove.